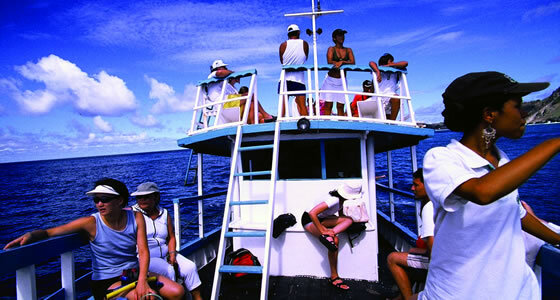 Holidays and Events in Fernando de Noronha. Get to know more about Holidays and Special Events in the paradise island of Fernando de Noronha. It is a good idea to know about the holidays of the place you will be vacationing in, so you won’t end up cashless near closed banks. All the official centers, banks and shops remain closed on national holidays. This will help you plan your shopping trips accordingly, to avoid disappointments. Fernando de Noronha wears a festive look most of the year but it shuts down all commerce on national days and religious festivals. January 1st being the New Year’s day is a holiday not just here but in most of these countries. The island’s biggest and grandest celebration happens in the month of August to mark the island’s anniversary. All government offices are closed, including the small shops and supermarkets because everyone is out there at the carnival. May 1st is celebrated as labor day, so the island is completely deserted. The annual festival before Ash Wednesday is a 4 day long celebration. During the lent days, finding poultry or meat food may seem a little difficult. Between the months of February and March the islanders host a carnival, though government offices are closed, the carnival offers a variety of food to indulge in and the handicraft fair displays products of wide range from all over Brazil. This carnival is known to be the longest celebration, celebrated with great fan fare. November 2nd being All Soul’s day is also an important holiday on Brazil’s calendar. The Independence day is celebrated on November 15th and Republic Day and Christmas is celebrated on December 25th, so both the days it’s very unlikely to see any bustling activity in the village. One of the exciting events of Fernando de Noronha is the World Qualifying Series, Surfing Competition. It is a great event to witness the show but usually one needs to keep updated on the time and date of the event.